An Ulla Muller student gets up on stage and sings. 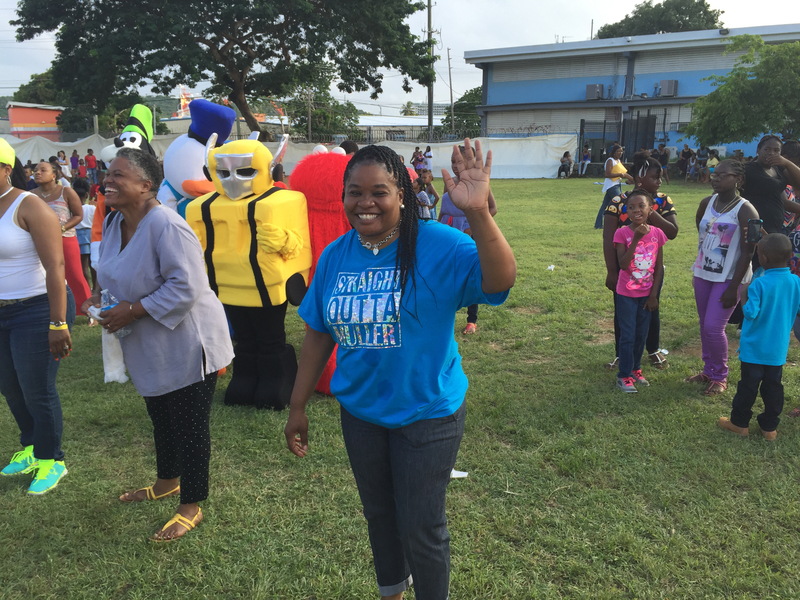 CHARLOTTE AMALIE – Principal Symra Dee Brown thought she had a way of exposing students to some of the biggest names in the St. Thomas music scene while at the same time raising money to purchase uniforms for the Ulla Muller Elementary marching band. Brown would bill it as the “Biggest Kiddie Concert Ever” and thereby raise fund for the only elementary school marching band in the St. Thomas-St. John District. That vision became a reality when seven live bands, mascots, food and more at the “Biggest Kiddie Concert Ever, VI Style” fundraiser kicked off on Ulla Muller’s athletic field Saturday afternoon. With admission at $5 for children and $7 for adults, Brown said she had hoped to raise $5,000 or more to help purchase the uniforms. “We cannot use federal funds to purchase certain items, so we wanted to hold this fundraiser to help purchase the uniforms,” she said. According to Elesta Morton, a Muller sixth grade teacher and member of the fundraising committee, the school’s marching band has been around for two years and often performs at school-related events, such as the career fair in November and other similar activities. About 500 parents and youngsters filed through the school’s gates in Estate Contant over the course of the five-hour event, according to Brown. 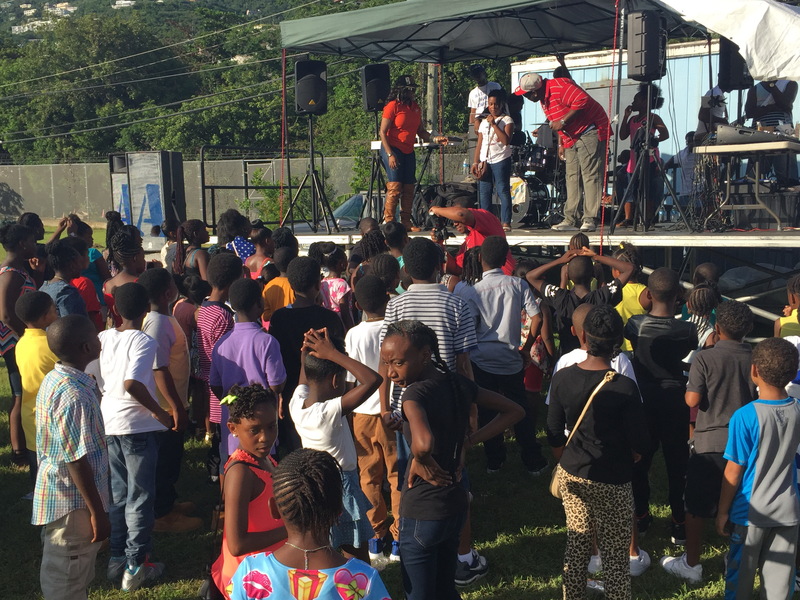 Attendees could be seen dancing, eating, playing games or relaxing under trees as entertainers, such as Pressure Busspipe, Daddy Shaw and HP Jammers, SESA, Malverne and Lorna, and others took to the stage to perform some of their major hits. Many of the artists spoke on the importance of education. SESA, the reigning Rookie of the Year, was heard encouraging students to “stay in school” during his performance. Principal Brown said she was pleased with the turn out and grateful for the participation of the performers, who donated their time in support of the effort. The “Biggest Kiddie Concert” was the first of its kind and Brown said she hopes to make it an annual event. The next fundraiser planned for Muller school is its popular “Muller Magical” Christmas event, which finds the school’s athletic field decorated like a winter wonderland each December. Principal Symra Dee Brown at the event Saturday.